Would you go twenty years without seeing a medical doctor? Probably not because you would be placing your health at risk. The benefit of a medical examination is to catch any troubling health risks as early as possible—so there is time to correct that problem. The same is true for one’s financial health. Because “financial services” include the vast and constantly changing worlds of both insurance and investments, a financial representative’s job is to help you understand how these resources may be applied to your needs. A financial checkup on the same individual, but at different ages, say at 25, 45, and 65 years old, will result in different needs. The more frequently you schedule your financial checkups, the smaller changes you may need to make to stay on course to reach your goals. Why have a financial checkup? Would you board an airplane that has a 20% chance of crashing? Probably not. But do you even know if you have a 20% chance of outliving your money later in life? Wouldn’t that be a situation, like a disease, you’d like to avoid? A financial checkup may help identify these types of risks and help you avoid or manage them better. What does a financial checkup include? Do you (or, more accurately, does your family) have enough life insurance to replace your income should you unexpectedly die? For how long? Did you account for the retirement and college savings you were not around to save? If you are married, will your spouse have enough to retire on one retirement account and one Social Security benefit? If you only have term insurance, what protection will your family have when the term ends? Does the insurance you purchased 20 years ago serve your purposes for the next 20 years or is there a better fit available? Those questions are answered for you during the checkup. A financial checkup is a good time to ask all of those questions you’ve meant to ask, but didn’t know whom to ask. You should leave the checkup with more answers than when you arrived. 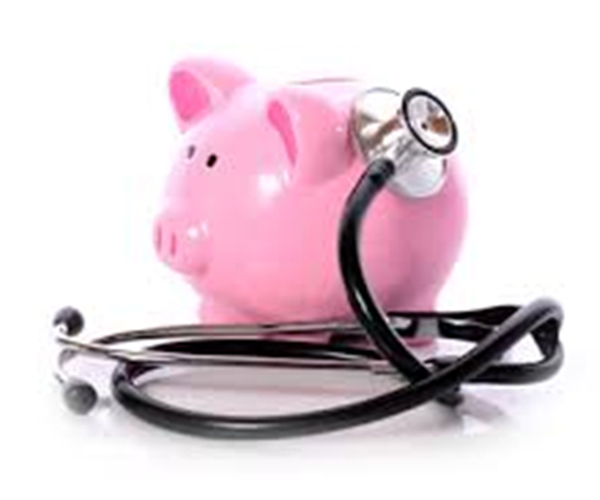 To schedule a private, confidential, and complimentary financial checkup, click here.